Here is an excellent video taken from the ARC Forum in Orlando this past February. It shows John Rezabek of Ashland chemical and chairman of our End User Advisory Council discussing why they chose FOUNDATION fieldbus and control in the field to run their plant in Lima, Ohio. And here is video footage from our latest General Assembly in Shanghai, China at the beautiful Portman Ritz Carlton Hotel. We are very pleased with the attendance of over 250 end users and suppliers and some very excellent presentations. Thanks to the cooperation of CFE Media and Control Engineering we have a series of new YouTube videos on various fieldbus topics. 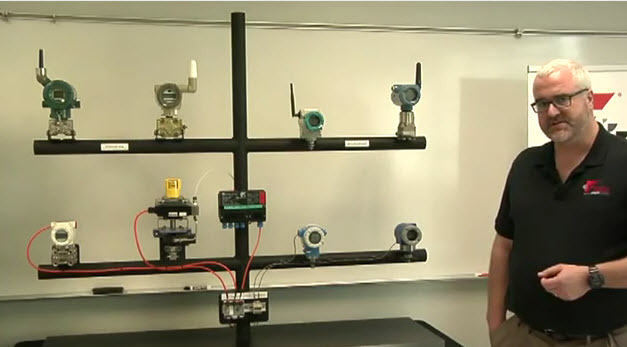 Shot at our certified training center at Lee College in Baytown Texas, these videos feature Lee College Chief Instructor Chuck Carter and our own Talon Petty discussing various fieldbus topics, including control in the field, signing up tags in the host and troubleshooting device addressing, and out of scale readings (overpressure) with FOUNDATION fieldbus. You also get a really nice look at the Lee College Fieldbus Center lab, which has a lot of nice equipment and resources! Ask any fieldbus expert and they will tell you that the vast majority of problems experienced with a fieldbus installation are related to the physical layer. Things like wiring, connectors, terminators, power conditioners, and device couplers can be a smoothly running part of your installation or a problem. Usually the issues are simple to resolve, and by keeping a few best practices in mind you can have a solid physical layer installation. Dave Lancaster of Bechtel lives by the axiom “Insulate, Isolate, and Keep as Short as Possible”. With that in mind, Talon Petty of Fieldbus Foundation has made a series of new videos on best practices for fieldbus wiring. One of the topics is armor-plated wiring, which offers an extra hardened solution for environments that require it. If you work in a plant near the ocean, for example, you are quite familiar with the corrosive effects of salt air and storm-related flooding. Sometimes, opting for cable with a little extra protection is the right way to go, but there are a few things to keep in mind if you want to make it easy to deal with the armor jacketing. Check out these videos for some good pointers. Here’e a nice video featuring Andreas Agostin from MTL talking about their new FOUNDATION fieldbus intrinsic safety barriers! I will be featuring more of these kinds of supplier videos in the coming weeks, there are dozens out there. We have uploaded a new instructional wiring video for H1 cable installation, starring our marketing specialist Talon Petty. Many end users tell us that when they do have an issue with fieldbus technology in the field, it is usually related to improper implementation of the physical layer. Importance of the physical layer should not be underestimated, and doing your wiring right the first time can save a lot of headaches down the road. The video demonstrates the proper techniques for cutting, stripping, crimping and heat shrinking fieldbus cable for professional process automation installations for field devices. While each region has different specifications and/or procedures, we’ve set up a very common example based on US standard specifications. The video addresses cable preparation for connecting to a field device. The procedure varies slightly for connecting to device couplers or controllers, but again grounding techniques vary by region. We hope you find the video informative and look forward to your comments. We just uploaded three new videos to our YouTube channel and we have some more on the way. First we uploaded a two part series of lectures (parts 3 and 4 forthcoming) by Dave Lancaster, formerly of Bechtel and now a certified FOUNDATION Certified Training Program instructor. These videos were taken at the Beaumont, Texas end user seminar in 2011. Dave talks about some of the key elements of success for implementing FOUNDATION technology from the Physical layer perspective. We’ve also uploaded some video footage from our 2012 General Assembly in Sao Paulo, Brazil. You can really see how full the room was in this video, and our many sponsors that helped make the event possible. Coming soon: a video from our marketing specialist Talon Petty on FOUNDATION fieldbus wiring best practices. We have uploaded a couple of videos to our YouTube channel that we have mentioned previously on the Fieldus Foundation blog. Both of these videos were expertly shot by our friend Peter Welander over at Control Engineering magazine/CFE Media. First is the Control in the Field split screen Skype interview with Andy Clegg of Scotland-based Andy Industrial Systems and Control — an automation consulting company in Glasgow, Scotland. ISC has done quite a lot of research on the performance of control in the field using FOUNDATION fieldbus versus the performance of control done in the controller. In this video Andy shares some of the results of their research along with their future plans. Secondly, we have a video of Larry O’Brien of Fieldbus Foundation giving a brief guided tour of our FOUNDATION for ROM demo unit at the media day held at Lee College. You can see the various WirelessHART and ISA 100.11a devices integrated with FOUNDATION for ROM devices, including controllers and remote I/O from Smar, APAT, and Stahl. We have more YouTube on the way in the form of videos shot at our seminars last year.